I look for library photos, too! Pictures of creative spaces to fill with books, pictures of shelves upon shelves, pictures stacks of books. 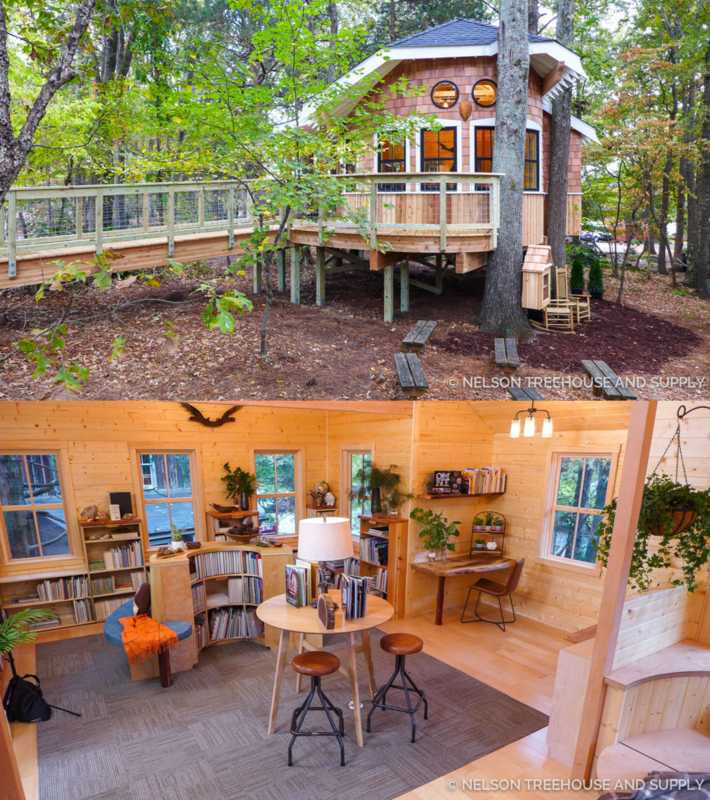 I would love a backyard big enough to build a home library in. Just beautiful!